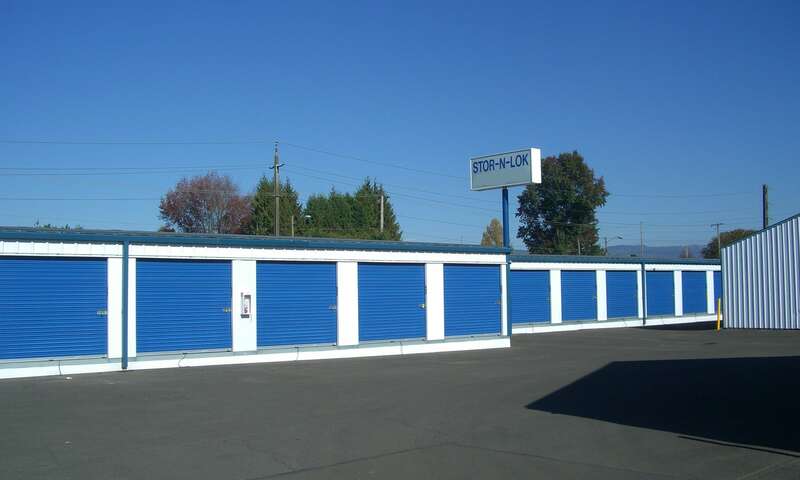 Looking for storage in Springfield, Oregon? You’ve come to the right place! At Stor-N-Lok we strive to exceed your storage expectations. Our well lit and fully fenced facility offers several amenities that will make you feel confident in your choice to store with us. You are sure to love our convenient location too. We are just off I-5 across the street from the UPS Distribution Center on Hwy 126, at the corner of 35th and Olympic and just 1/4 mile east of Walmart. Because we offer a variety of unit sizes and types, we can help you solve practically any type of storage dilemma. If your home, office, or warehouse is starting to feel a little crowded then additional storage space may be exactly what you need. We will accept deliveries on your behalf and you can access your unit 7 days a week. We even offer affordably priced boxes and moving supplies for our customers just to show how much we care. And for Duck fans, we are just 12 minutes from University of Oregon! We welcome all students and faculty to our well-maintained and locally owned storage facility. In addition, when you choose to store with us there are no extra fees or deposits. Combined with our promotions, affordable moving boxes, and supplies our goal is to provide our customers with the most economical storage around. 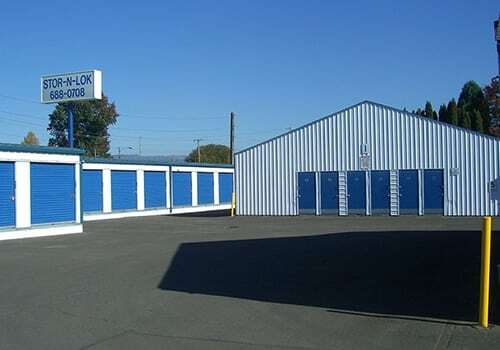 At Stor-N-Lok in Springfield, Oregon, you will breathe easy knowing your precious belongings, important business documents, and vehicles are in good hands. Deals on our website are hard to beat! We invite you to reserve online now and lock in your great rate today. Please view our storage unit sizes and prices for more information.